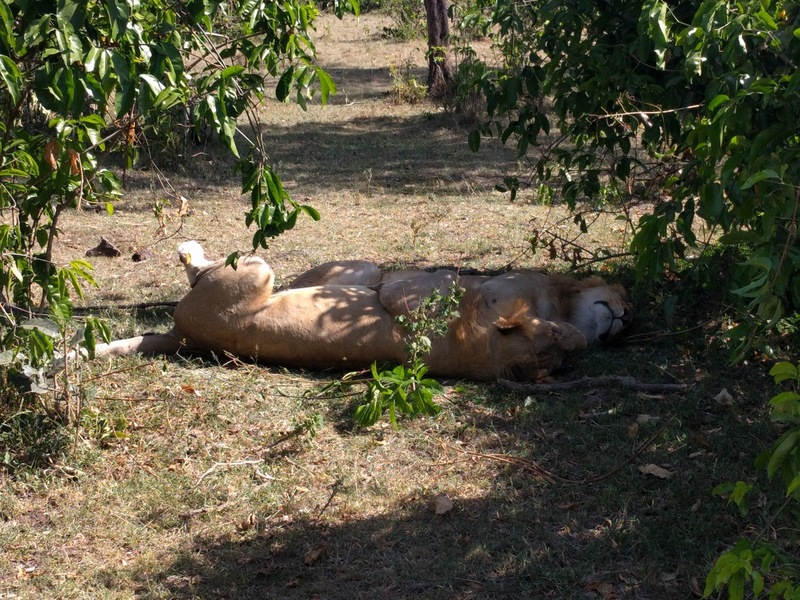 I already blogged about the rest of our safari trip to the Maasai Mara here, but I wanted to devote a separate post to our visit to a Maasai village. 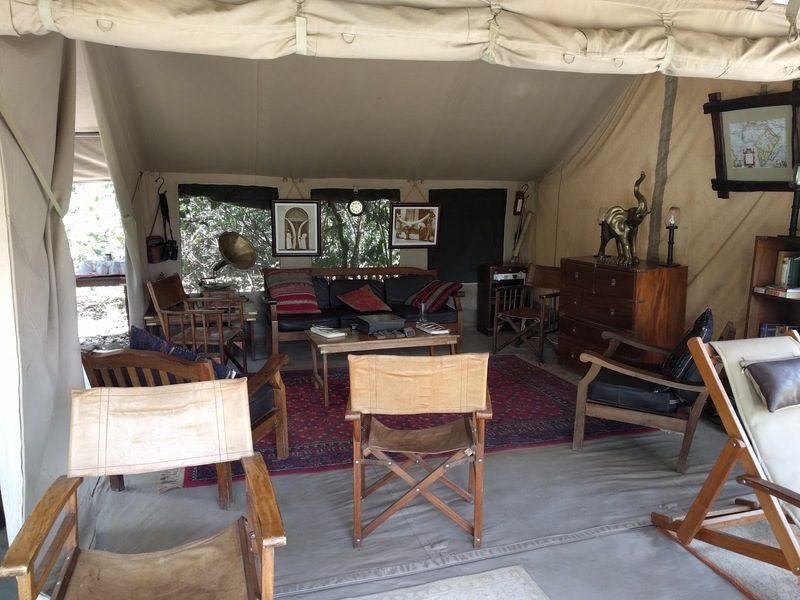 Most Maasai Mara safari camps will allow you to add on a visit to a nearby village for a small fee. Once we visited the village of about 100 people, we asked many what they thought of the visits. They unanimously agreed the visits were good. They said it helped them keep their traditional practices alive and made them proud to share their culture with others. They also said the financial support from the visits and accompanying markets (more on that to come) were a major source of income for the villagers. We were welcomed with traditional songs and dances. Then, the men showed off their jumping skills. Maasai men are legendary jumpers, which explains why you'll see t-shirts in Nairobi saying things such as, "JUMP HIGH LIKE A MAASAI." 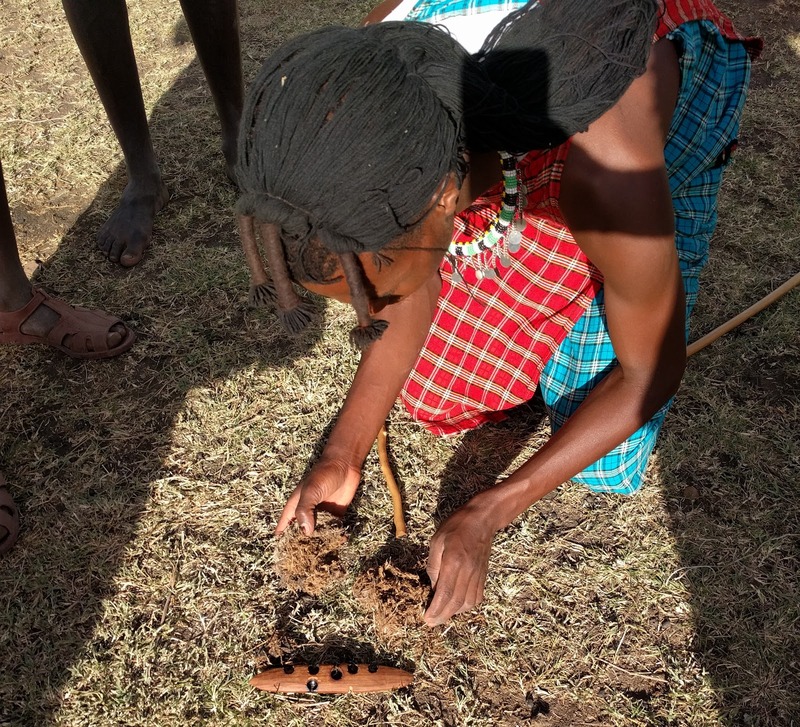 We also learned that the traditional Maasai diet consists mainly of raw meat, milk, and blood. Yes, blood. I think our American digestive systems would just shut down and surrender if we tried Maasai food! They were also very traditional with gender roles. They laughed at the idea of a woman working outside of the home or a man cooking or cleaning. They thought that was ridiculous. My favorite part of the visit was when the young men showed us the traditional method of starting a fire. They rubbed a piece of bamboo in a piece of wood really fast for a few minutes to generate a huge amount of heat. They stood in a circle so that when one guy's arms got tired, the guy next to him could take over. They used dried elephant dung, which is full of dry grass, almost like charcoal. It was amazing watching it start to smoke from the friction of the wood alone. When I think of starting fires, I usually think of tinder and kindling or at least some type of spark, so seeing it done this way was fascinating. We were greeted by the children of the village, who were so happy to see us and touch our hands that it warmed our hearts. They kept asking us our names over and over again and telling us theirs. A note to the traveler (that several others have mentioned) is that it's totally normal for these children to have dirt, snot, and flies on their faces. The ones we saw didn't even blink with flies around their eyes. It was surprising to us, but ordinary for them. We were also shown the inside of a village house, which used plastic on the roof to keep out the rain but was otherwise constructed with the traditional sticks and mud/dung. It was honestly a difficult part of the trip for us, because it had more cockroaches and ants than any of us had ever seen filling the small sleeping area. Considering this was our only visit, I'm not sure how representative that particular house was, but it certainly looked recently lived in and used. Right after that, we were brought to a market area where the village artisans had spread out their wares on the ground. This is the part that many visitors complain about the most, because by Western standards the vendors are very pushy. 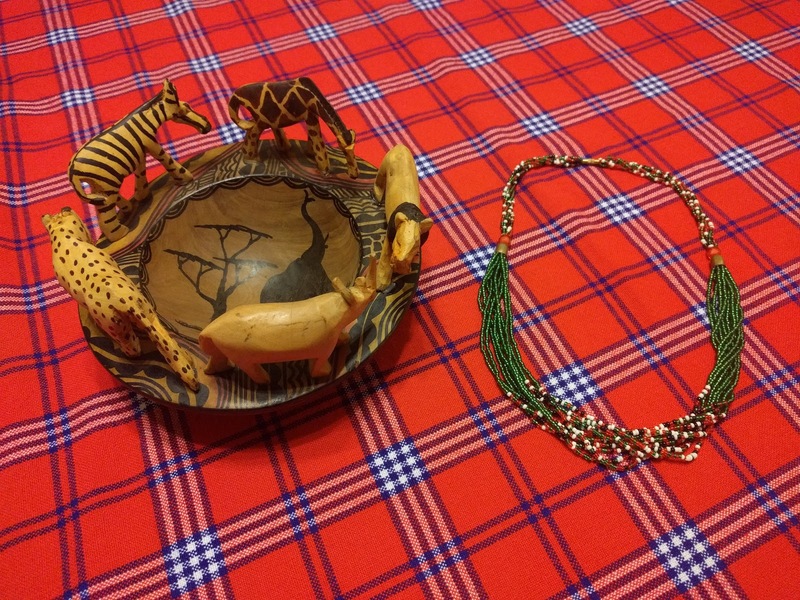 It reminded me of being back at the Maasai Market in Nairobi. Even though all visitors pay an entrance fee, there's a lot of pressure to shell out more cash for jewelry, home goods, fabrics, and other products. They might even put necklaces or fabrics on you and then tell you to buy them (which happened to me with the necklace pictured below). 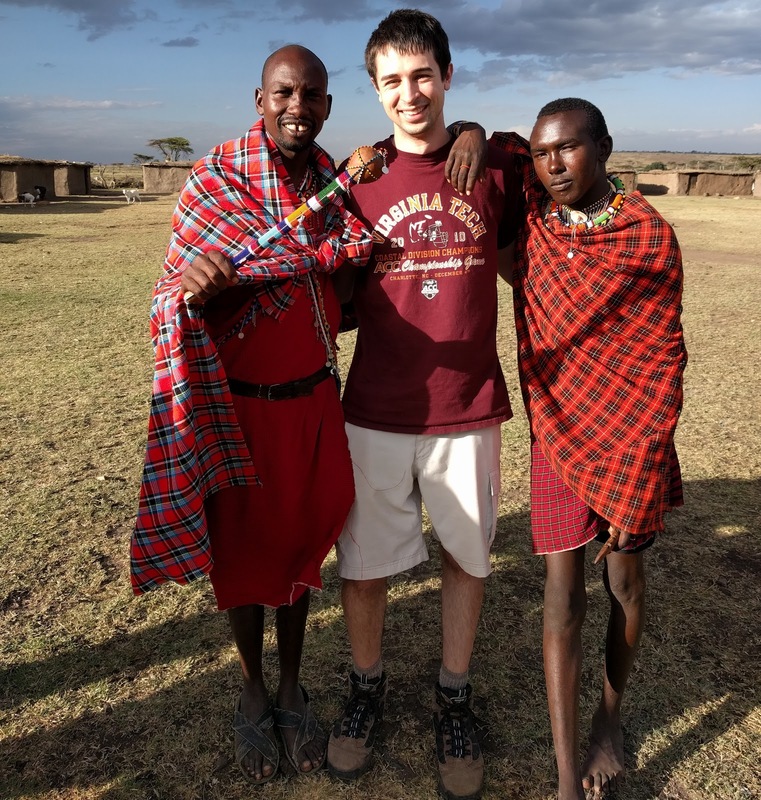 In the end, I was glad we did the Maasai village visit but probably would not do it a second time, personally. 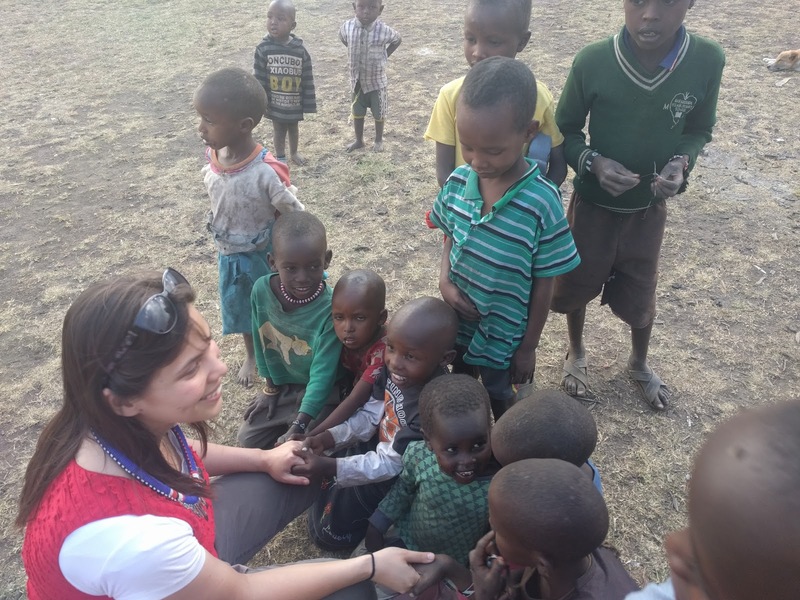 As far as supporting the community goes, there are thankfully countless opportunities across Kenya for us to do that. We're traveling this week, so we did something we do for every international trip we take: we registered in STEP. 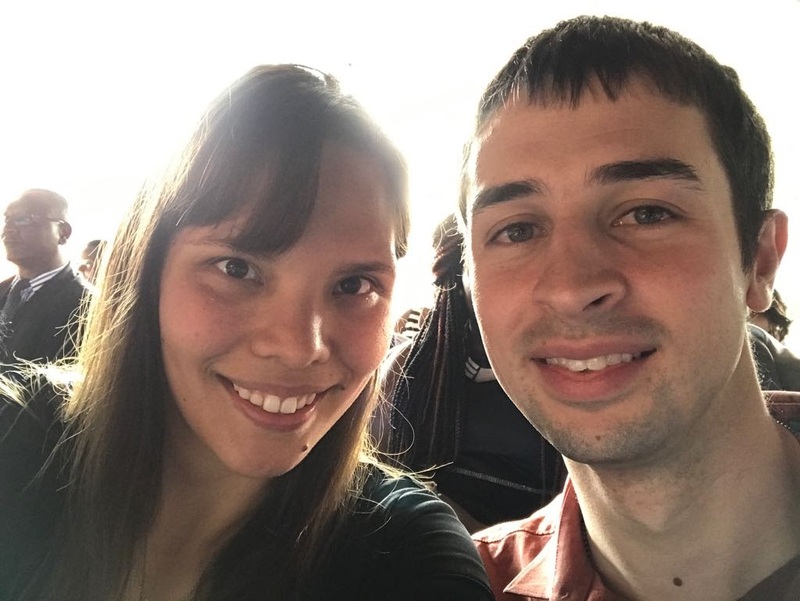 This post is a brief plea to U.S. citizens and nationals: please sign up for STEP when you travel (or even move) to a country outside the United States. 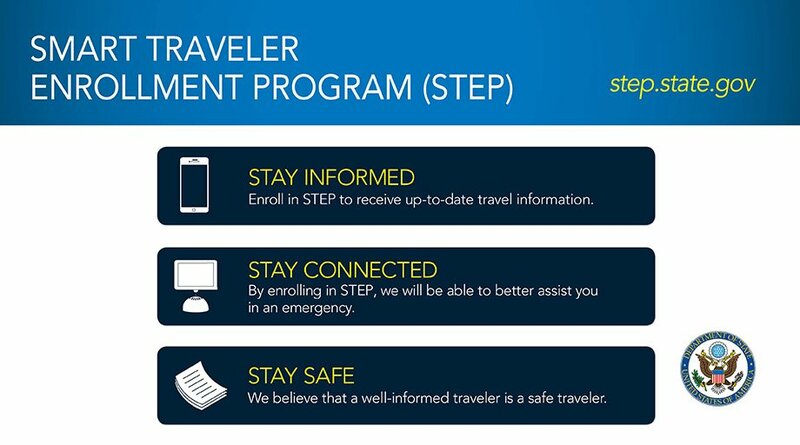 STEP stands for "Smart Traveller Enrollment Program". It's a free online registration that allows for a few things: it lets your nearest Embassy or Consulate know you're there. It helps them send you any security messages, warnings, alerts, or updates that you should know while you're there. Most importantly, it helps your representatives abroad (and your loved ones back home) contact you in case of an emergency. Although I haven't done Consular work yet, I know from my personal experience that STEP makes a difference. I have received key security information through STEP in my travels through Oman, France, and even now in Kenya. If you don't sign up, you simply miss out on those helpful updates. I've also heard the heartbreaking stories from my colleagues of many unnecessary hours or even days in a crisis situation desperately trying to contact someone who hadn't provided any information through STEP that would've helped connect them with the Embassy (and their frantic family) sooner. This system exists to help, serve, and protect you. (The peace of mind alone is enough to make any trip more enjoyable!) I hope you (like us) find it's well worth the few minutes it takes to register, every time. 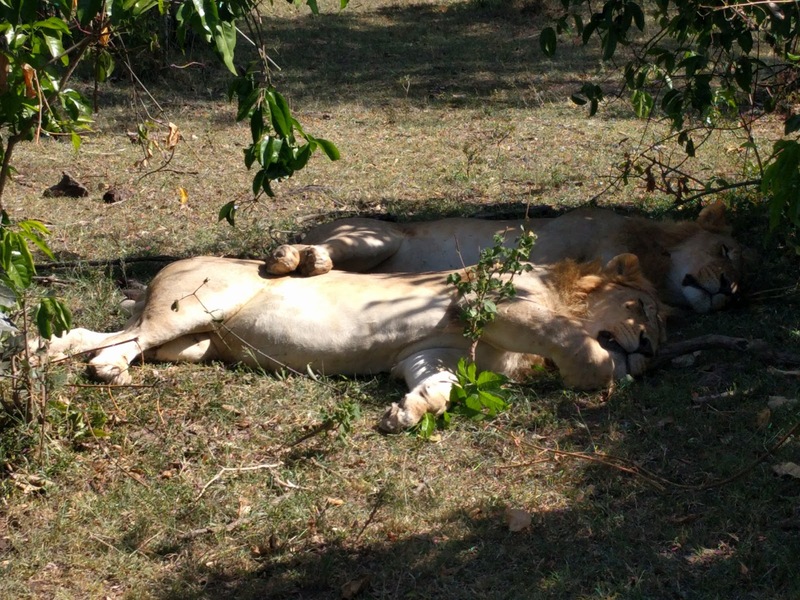 We just got back from our first real safari - a long weekend at the famous Maasai Mara (the Mara)! 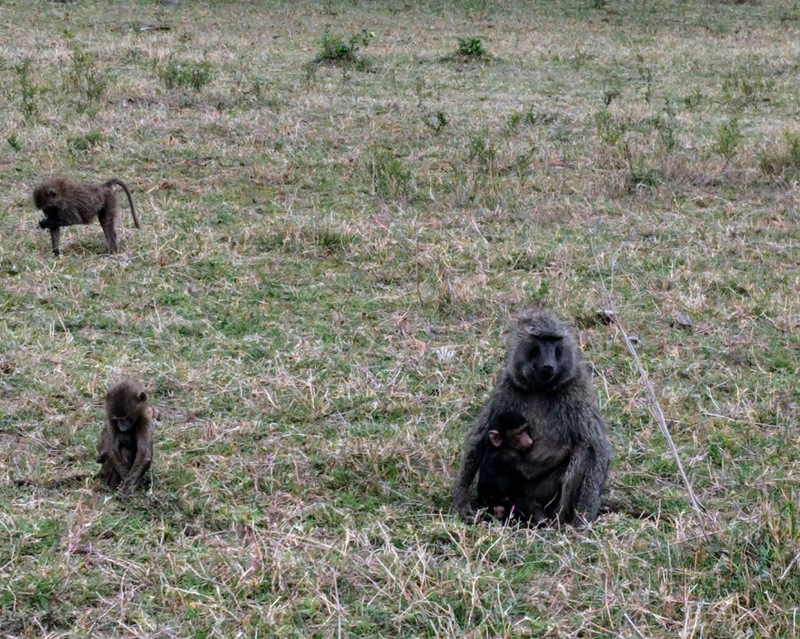 On the recommendation of friends and colleagues, we stayed at Sentinel Mara Camp, which was fantastic. 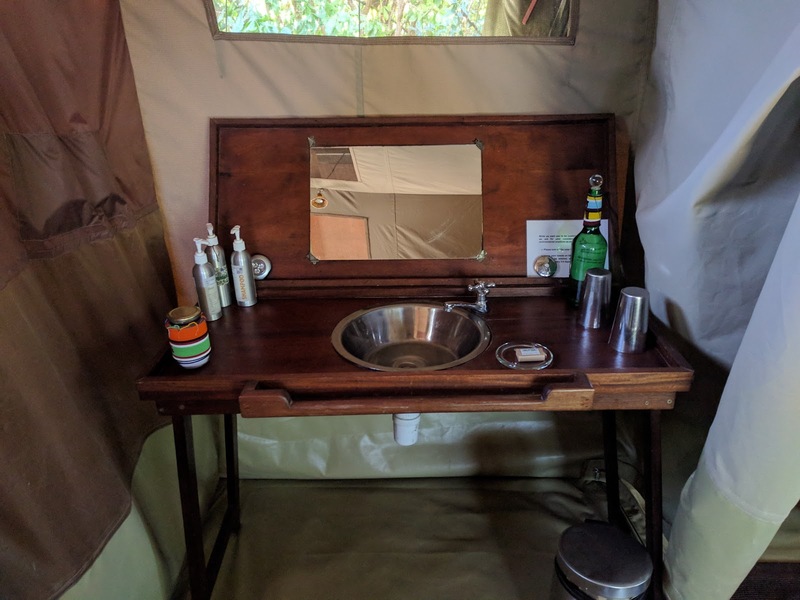 We were told Sentinel was different from other camps, but because this was our first safari we didn't really have a point of comparison. A few of the things that supposedly make the Sentinel camp stand out included canvas tents for accommodation (see a communal lounge tent above and our sink inside our tent below), an intimate vibe with only seven tents in our camp, the stunning location on the Mara river in full view of hippos and other wildlife, amazing three-course dinners, and extraordinary eco-friendliness (e.g., solar powered rooms, conserved water, reusable bottles, etc). The way a staff member described it was that you could take a photo of the camp in black-and-white and it would look like it was from the 1950s. We definitely agreed. 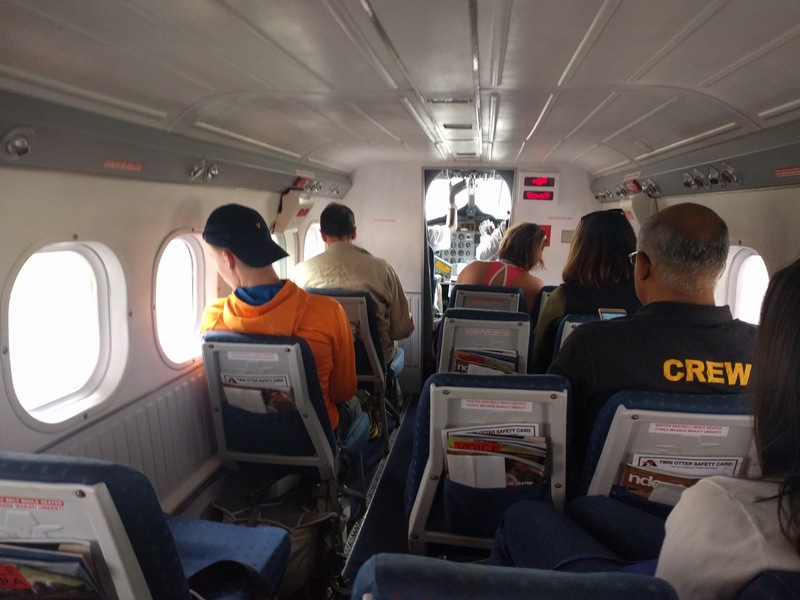 To even get to the camp, we had to take a tiny local airplane (inside pictured below) from a tiny local airport in Nairobi to a dirt airstrip in the Mara. It was a noisy, sweaty, and bumpy ride, but we thankfully made it all in one piece. The best part of our trip, of course, were the game drives. I want to preface this part of the post by confirming that neither of us even own a real camera. All of the pictures posted here were taken with an average smartphone. I'm sure I would have taken even more and better photos with a higher quality camera, but the fact that I have these pictures just highlights how close we were and how many opportunities we had. 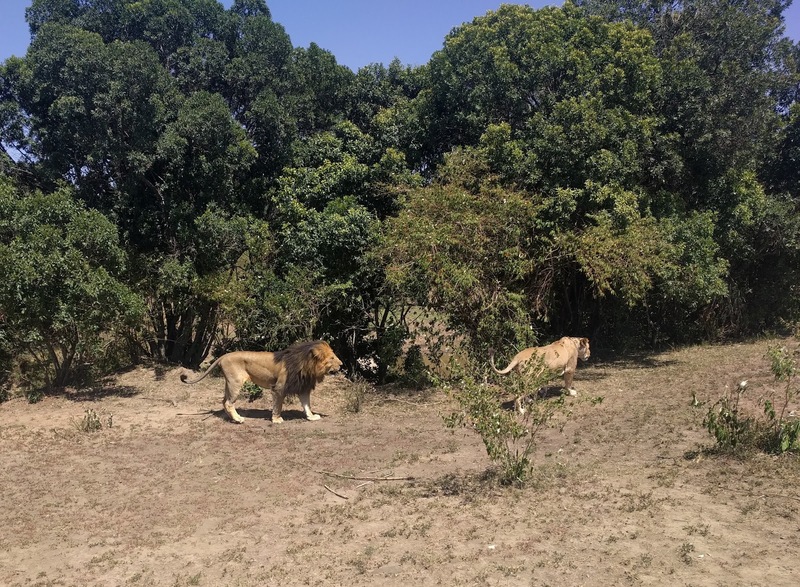 We later learned that the animals in the park generally perceive the safari truck as one giant animal and choose not to bother it if it doesn't bother them. That's also why it is very important not to get out of the car during a safari, because then you're no longer seen as part of a massive whole but a tastier, tinier individual. 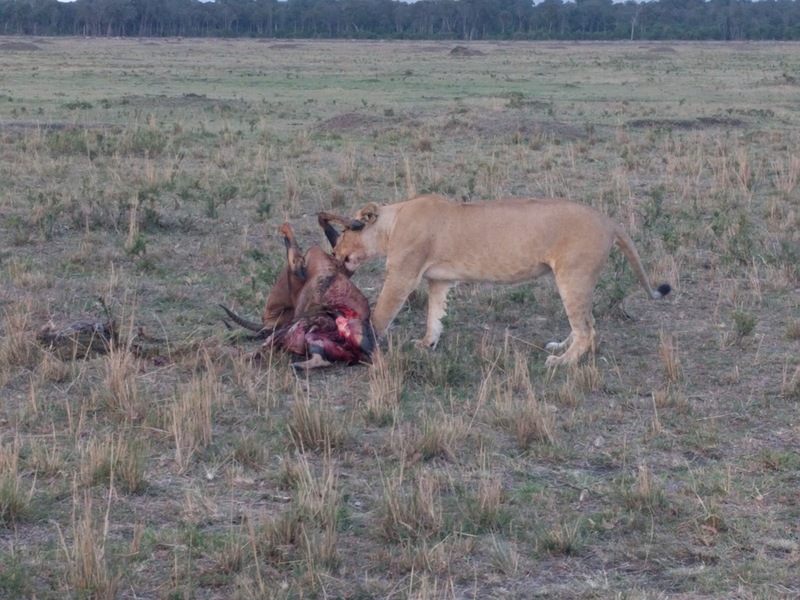 That explained why we were even able to get a close-up to a lioness feasting on her fresh kill (as we watched a hyena run away with that kill's baby). Talk about the circle of life! 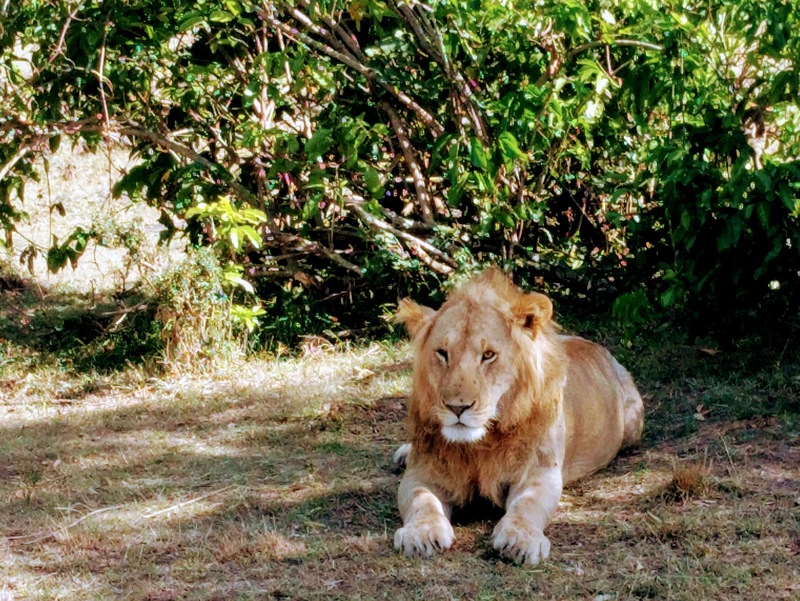 While talking about lions, I have to give a special shout-out to Blackie (who features in the first photo of this post). 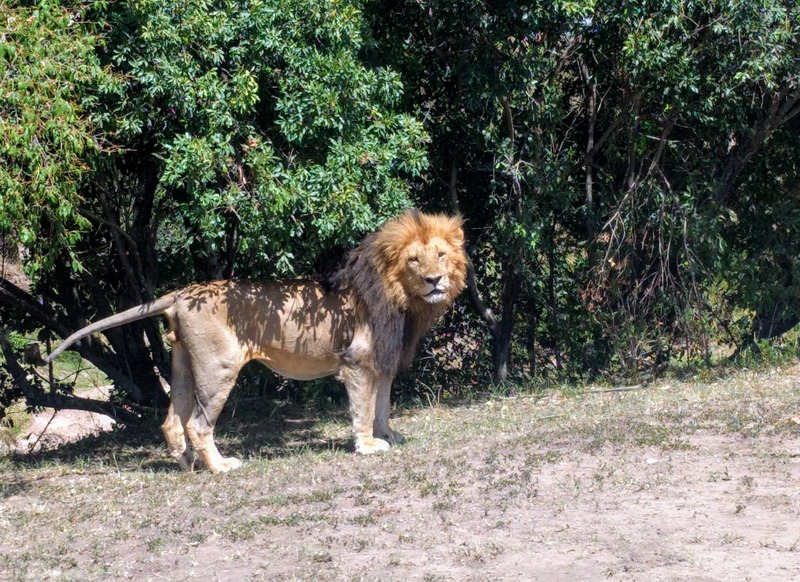 Blackie is a well-known lion who earned his nickname as a result of his distinctive, two-toned mane. He was spending some time with a lioness, and they decided to demonstrate the other part of the circle of life for us. Needless to say, it was worth it. Our guide was a skilled spotter and driver, and we saw things in two days that other groups couldn't find after two weeks of searching. 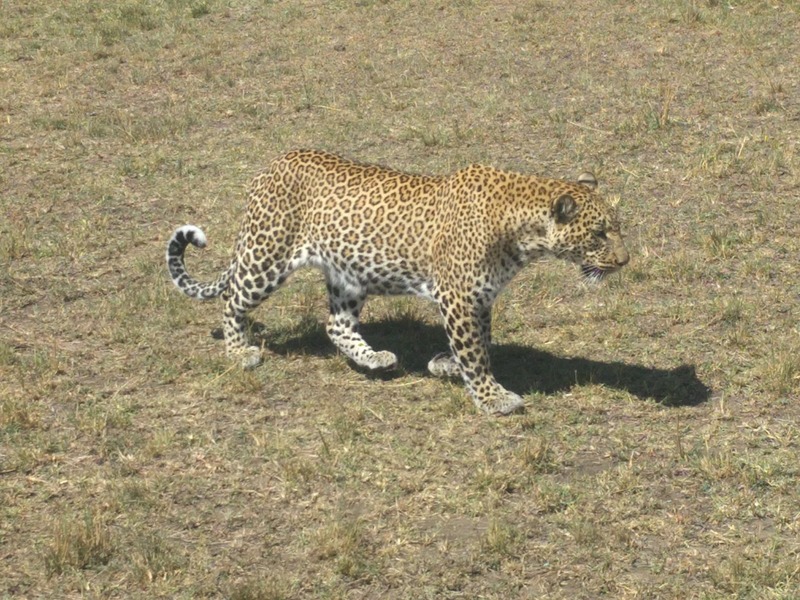 We learned that leopard sightings, in particular, are quite rare - so imagine our surprise when we saw three leopards on one drive! 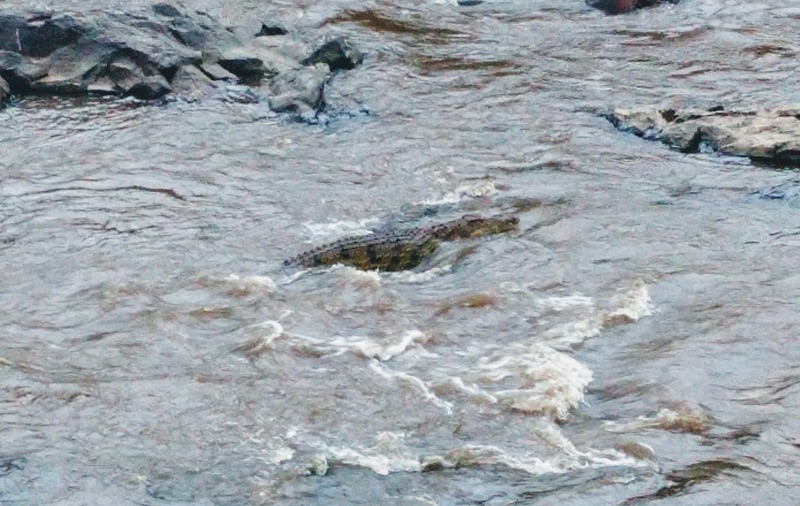 We also spotted a crocodile hanging out among the many hippos in the river. This was very cool for me, as I was very afraid of crocodiles when I was young. This was definitely the first time I saw one that could actually hurt me out in the wild, but thankfully I was far away and high up on a cliff above the river. I will admit we didn't get too close to the edge, though. Plus, we saw a newborn baby elephant our guide estimated was only a day old. I just can't get over that little trunk! 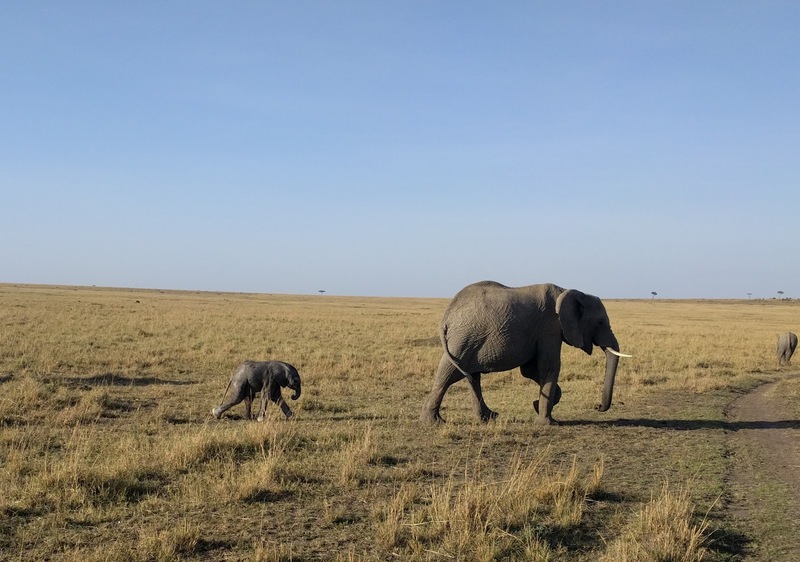 We also learned that this type of elephant has a gestation period of 22 months, which made us feel even luckier to have seen this baby. Even all these photos were just a sampling of what we saw. We got to see waterbucks, wildebeest, many birds, all types of what a friend called "skippy jumpy brown things" like gazelles and topi, and more. We saw every animal we wanted this time - except the cheetah. 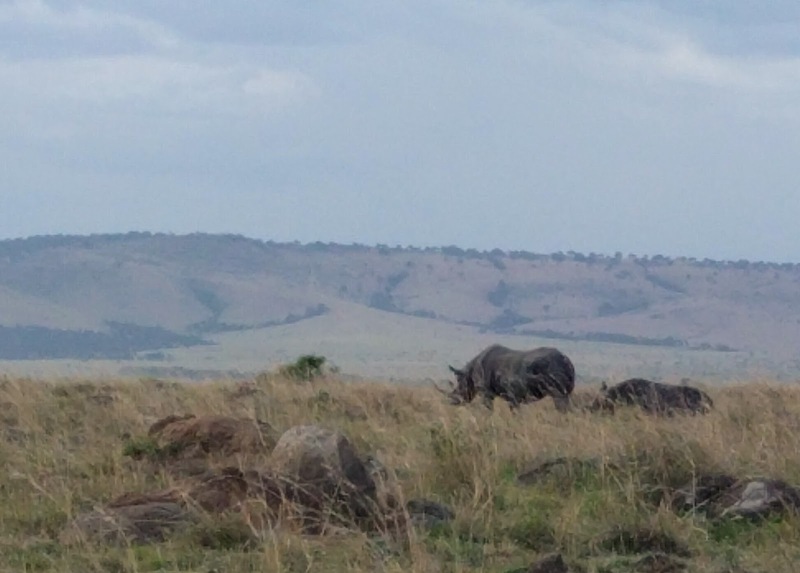 It's probably for the best that we have something left to try and find the next time we visit... perhaps during the famous wildebeest migration. 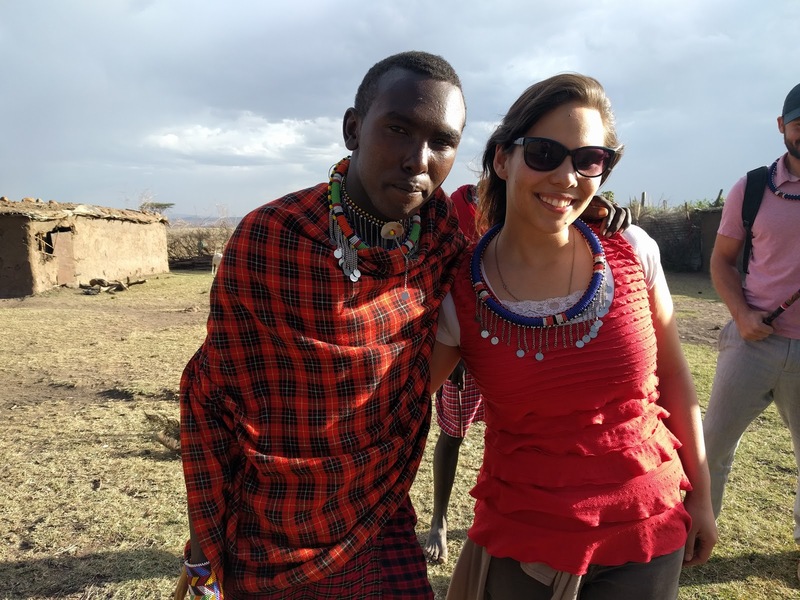 This post is long enough as is, so I'll save our visit to a traditional Maasai village (which we booked as part of our Mara trip) for a separate entry. 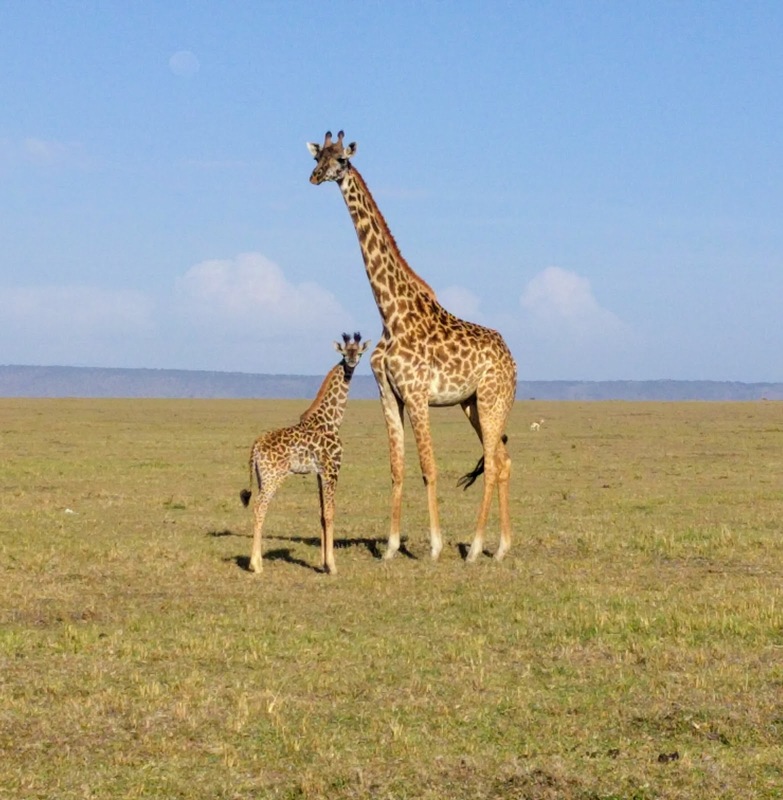 Isn't Kenya amazing? A Taste of Korea... in Kenya? What better way to spend a weeknight than enjoying a free Korea Festival in Nairobi? The festival was organized by the Korean Embassy in Nairobi and the Korea Foundation and made for a really fun date night. So how was the event? It was delightful! We started with drinks and Korean bites. 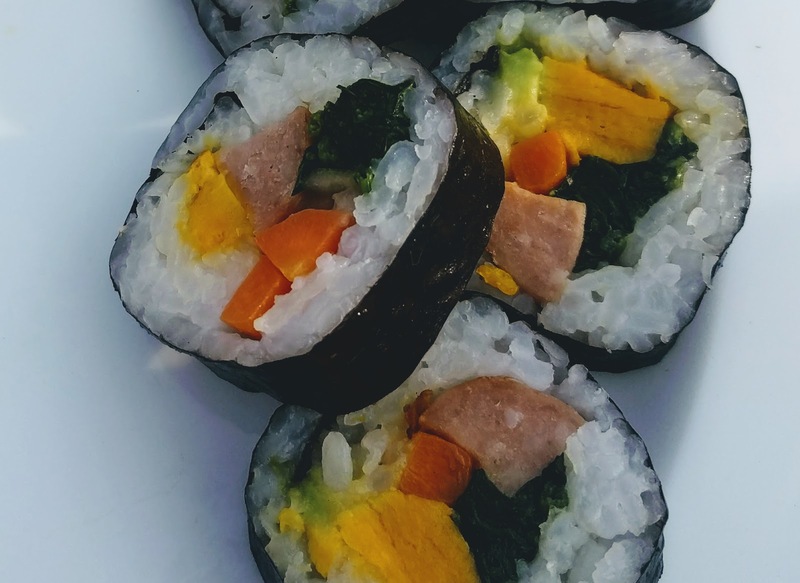 Yes, I had authentic kimbap that tasted just like what I would eat back home! 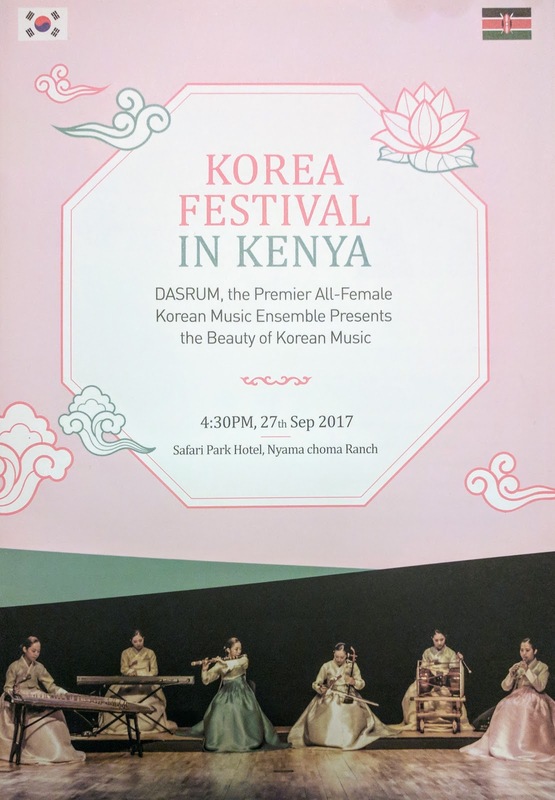 Then, we enjoyed a fantastic performance by DASRUM, an all-female traditional Korean music ensemble. The crowd couldn't get enough of the song, dance, and instruments - proving that traditional music isn't dead. (You can listen to a sample of their sound here.) They also wore hanbok - beautiful traditional Korean dress. 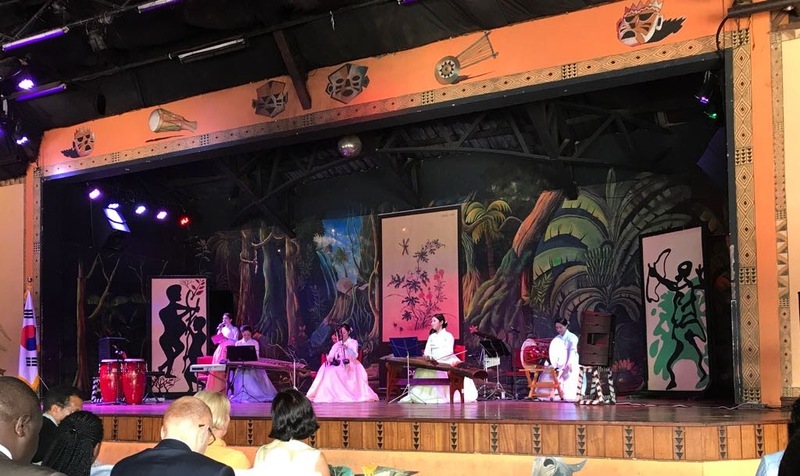 They played a range of traditional instruments, including gayageum (string instrument), haegeum (two-stringed instrument), ajaeng (another string instrument), daegeum (large bamboo flute), piri (tiny reed flute), taepyeongso (trumpet-like), janggu (hourglass-shaped drum), and kkwaenggwari (looks like a little gong, sounds more like a cymbal). They were also joined at certain points by a male Korean traditional dancer and by a Kenyan musician. 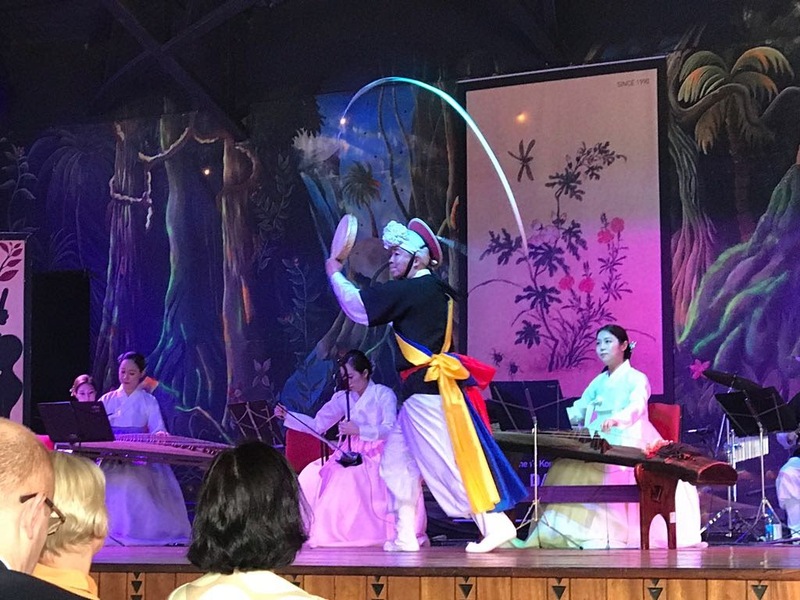 The dancer (pictured above) was wearing a hat with a long ribbon attached to it, a performance called sangmo dolligi. The crowd went wild when the Kenyan and Korean musicians jammed together. 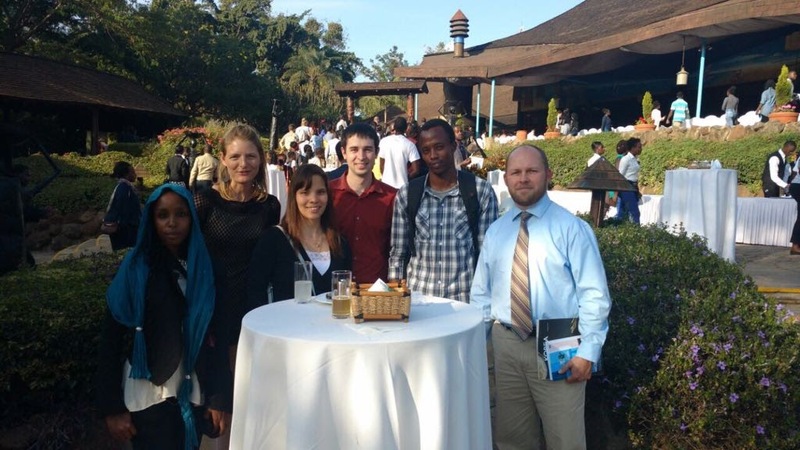 It was quite the show, and I hope it's not our last in Nairobi!